SunShop currently integrates with all major shipping carriers and a few key order fulfillment providers. See the lists below for more information on these integrations. Automated Shipping & Fulfillment SunShop integrates with two shipping fulfillment services to make creating labels, shipping and updating orders a breeze! ShipStation is a powerful, yet surprisingly simple web-based, multi-channel, multi-carrier shipping solution designed to facilitate the order fulfillment process for your SunShop store. ShipStation downloads your orders in real-time from SunShop automatically, allows you to create USPS, UPS, FedEx, DHL, and Canada Post shipping labels and packing slips in batch and updates the order status within SunShop automatically and communicates tracking information to your customers. Ship with one or many carrier accounts. Print shipping labels and documents for FedEx, UPS, USPS, and other major US and global carriers. Seamlessly switch between carrier accounts. Rate shop side-by-side. ShipRush downloads your orders in real-time from SunShop automatically, allows you to create USPS, UPS, FedEx, DHL, and Canada Post shipping labels and packing slips in batch and updates the order status within SunShop automatically and communicates tracking information to your customers. 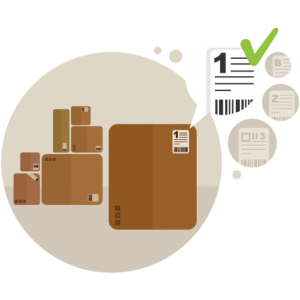 ShipBob empowers you to run your ecommerce business with fulfillment centers near your customers and the tools to maintain control over inventory, orders, and shipments. With ShipBob’s network of fulfillment centers in the largest US cities, you have access to a powerful geographic footprint. We own and operate all of our fulfillment centers and help you strategically split and manage your inventory to reduce shipping costs and time in transit.